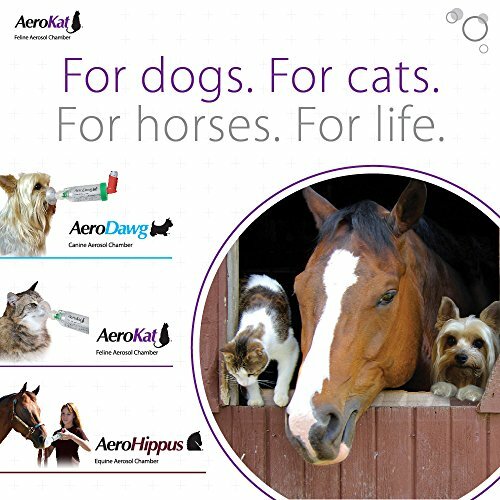 You have been prescribed an Aerochamber® Spacer to use with your Pressurised Metered-Dose inhaler (pMDI) to help manage your lung condition. 1. To open the inhaler, remove the mouthpiece cover. 2. 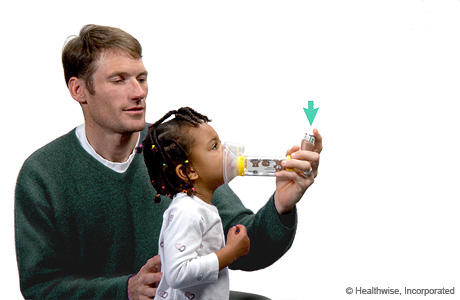 Hold the inhaler upright with your thumb on the base and your finger on the top of the canister. 3. Shake the inhaler up and down 4 to 5 times. 4. If you are starting a new inhaler or have not used... Whilst I accept that the device a patient uses should suit them and not the professional, why, when there is evidence to show that using MDI's without some sort of spacer (i.e. 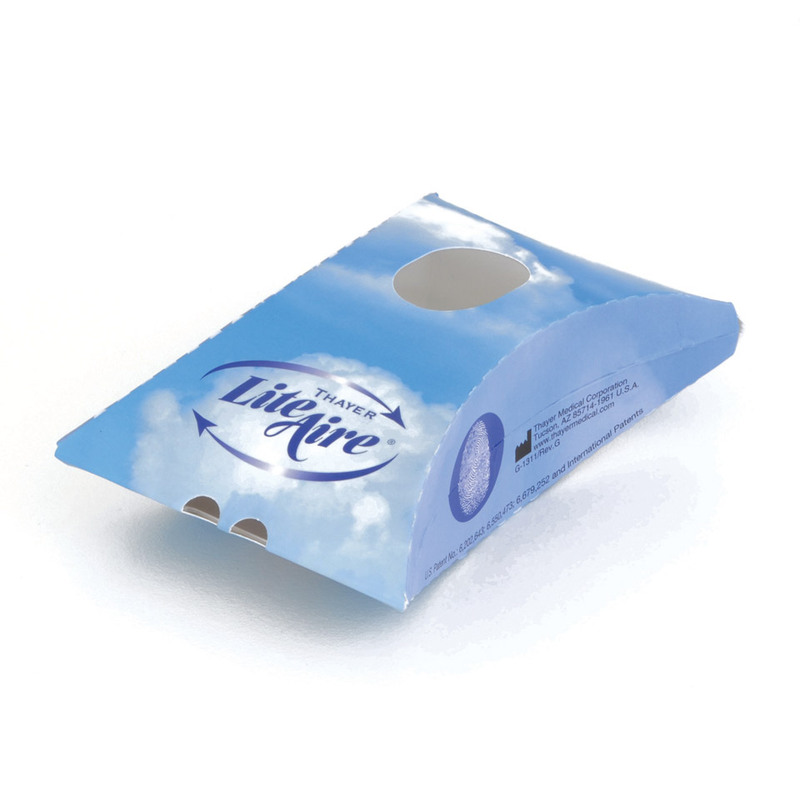 directly into the mouth) is really a waste of time & effort, do we still see picture of people with the MDI in the mouth? 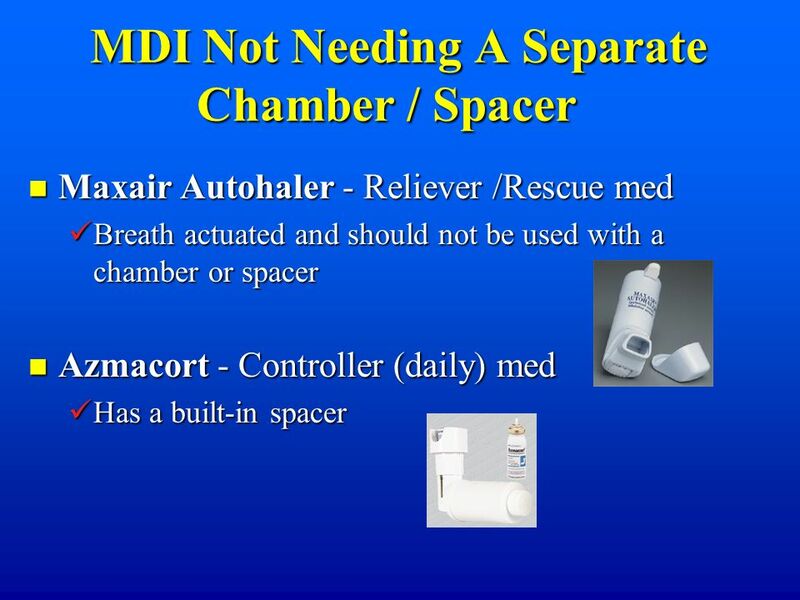 Before using a metered-dose inhaler (MDI) with a mask spacer: Talk with your doctor to be sure that you know how to use the MDI and mask spacer correctly.